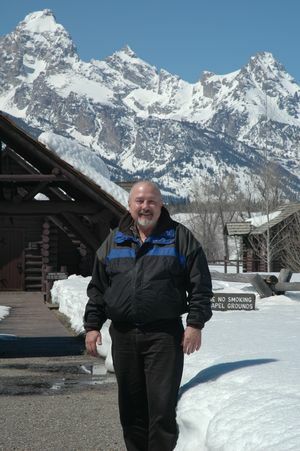 My name is Ray Citak and I am formerly the music department piano technician at the University of Wyoming. I live in Cheyenne, Wyoming, and although retired from the university, I continue to serve customers around the state. I have been privileged to work on pianos for many piano owners, churches, and institutions. You can contact me though the provided link if I can be of any service to you. I have been a piano technician since my first job out of graduate school in 1972. After majoring in piano performance (yes, I am the pianist playing the selections on the home page player) and graduating with a master's degree, I went to work for the Baldwin Piano company in their grand piano plant in Conway Arkansas as a production supervisor. After two years, I took a full time piano technician's position at Texas Tech University where I remained 8 years. I became associated with the University of Wyoming after tuning for a series of recordings made by the Western Arts Trio, moved to Laramie, and later both taught piano and worked on the university instruments. At present I have limited my playing and teaching and primarily work as a technician. My specialty as a technician is as a concert tuner and technician. I have prepared many concert instruments for artist performances. The list includes pianists Ferante and Teicher, Henry Mancinni, Peter Nero, Roger Williams, Ralph Votipek, Panayis Lyras, James Tocco, Santiago Rodriguez, Barry Douglas, Christopher O'Rilley, Ivo Pogorelich, Jean-Yves Thibaudet, Andre Michel Schub, Emannuel Ax, Andras Schiff and Claude Frank. Although that might sound like an impressive list, I have sure worked on my share of old upright pianos and clunkers too. I have had so many interesting experiences, I may create a link on this site of stories involving pianos that I have acquired over the years. I also enjoy computers (I build and repair them, designed this website, and do some programming), golf, fly-fishing and hiking. I am single now, but have three wonderful children and ten grandchildren which I enjoy going to visit in Denver, Dallas, and Denton, TX. I am also a spiritually driven person who believes in Jesus Christ as my savior and the validity of the Bible as God's word.